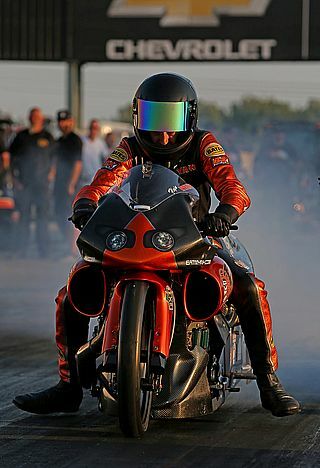 Heating and cooling manufacturing giant Armstrong Air is stepping up to the sponsorship plate to ensure that National Hot Rod Association (NHRA) Pro Stock Motorcycle racer “Flyin’ Ryan” Oehler’s season continues through the Countdown to One—NHRA’s championship playoff. The most solid bet for the NHRA’s Auto Club Road to the Future award—the drag racing organization’s version of Rookie of the Year—Oehler is also still in the race to be in the Countdown. That’s a remarkable achievement for a completely independent rookie rider and his one-bike, full-rookie family team. Next up for two-time AMRA Pro Modified champ Oehler is the world’s biggest drag race: the NHRA Chevrolet Performance U.S. Nationals at Lucas Oil Raceway near Indianapolis, Indiana. Ryan Oehler thanks the Birch Family https://www.capitolgroupinc.com ,Armstrong Air http://www.armstrongair.com , Precision Plastic Products http://www.precisionlexan.com/Default.asp , Gas Jockey Graphics https://www.facebook.com/Gasjockeygraphics101/ , High performance lubricants http://www.hplubricants.com/wp/ , Fogler Signs https://foglersigns.com , S&S https://www.sscycle.com , MRE http://www.murdochracing.com , D&G Chassis http://www.dgchassis.net , Rosati's Pizza https://www.rosatispizza.com , Bates Leathers https://www.batesleathers.com/ , Worldwide Bearings http://www.worldwidebearings.com/ , AirTec, Inc. https://www.facebook.com/airtecinc/ , George and Jackie Bryce at Star Power http://www.starracing.com , B&K Cylinder Heads and Flyin’ Ryan Racing FlyinRyanRacing.com , his family and crewmen Alexander Tutt and Phil Leptich.